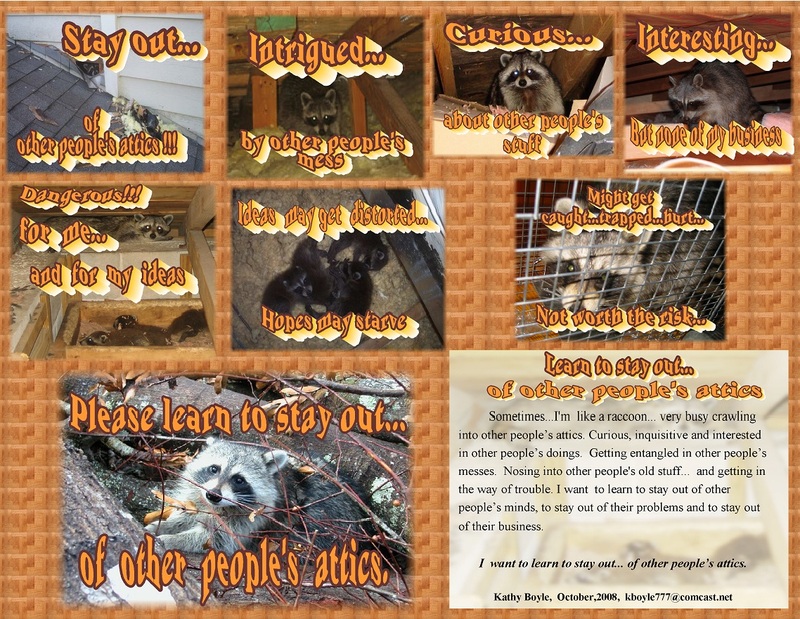 4 Responses to Stay out of the attic…. Not to mention, of course, the harm that may come to the people whose attic it is! I know for me, that’s always somewhere in my mind. Because the very late night “thumps” of the real raccoon getting into our attic were assuredly less than fun! Or, you know…tearing up the roof and then replacing it!